These four videos are with Coach Rich Walton and from his Skill Development Coach program. The program breaks down skills into a table that is patterned after the Periodic Table of Elements. These are You Tube videos, so please make sure that you are on a server that allows you to have You Tube access. The reverse jump stops allows the player to use either foot as a pivot foot. This move allows players to create space either for a shot, or to set up another dribble move. A second move to beat a defender who has shut off a baseline drive. This video has several variations of moves using an inside pivot. You can get a free two week trial for Skill Development Coach. 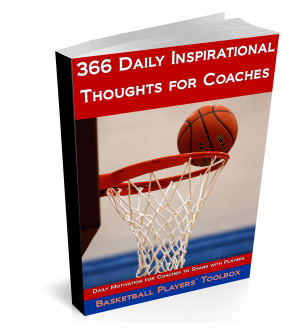 Text Coaching Toolbox to the number 31996 for a 2 week free trial.